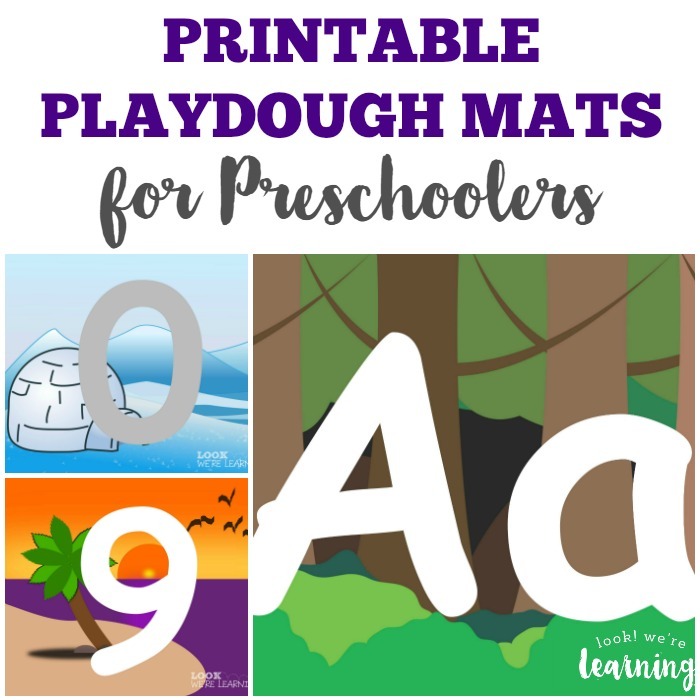 Printable Preschool Playdough Mats - Look! We're Learning! 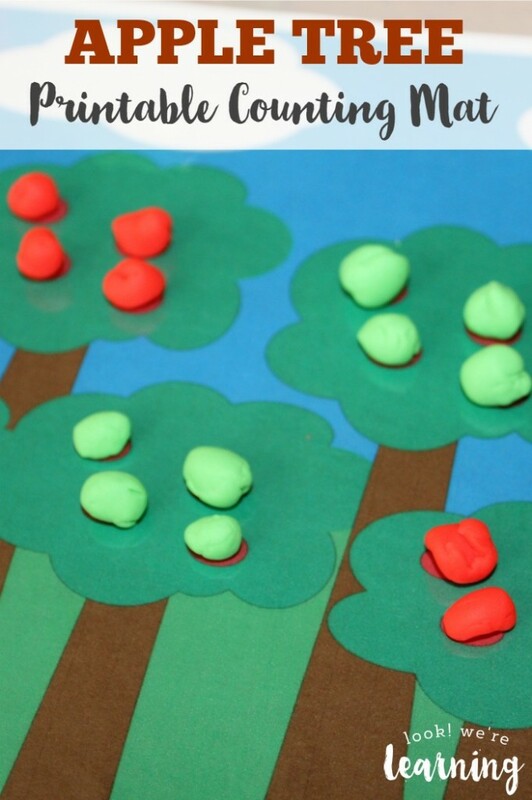 What preschooler doesn’t love playing with playdough? 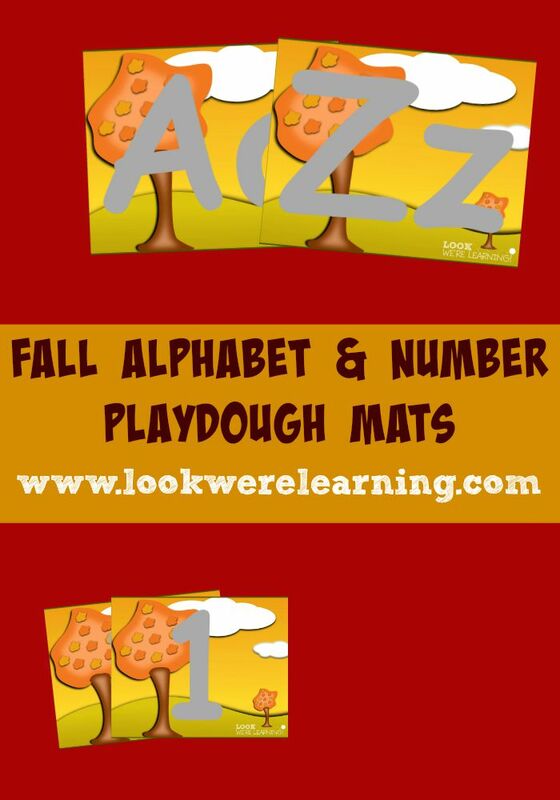 I know my youngest child has a blast using it to form shapes and numbers. 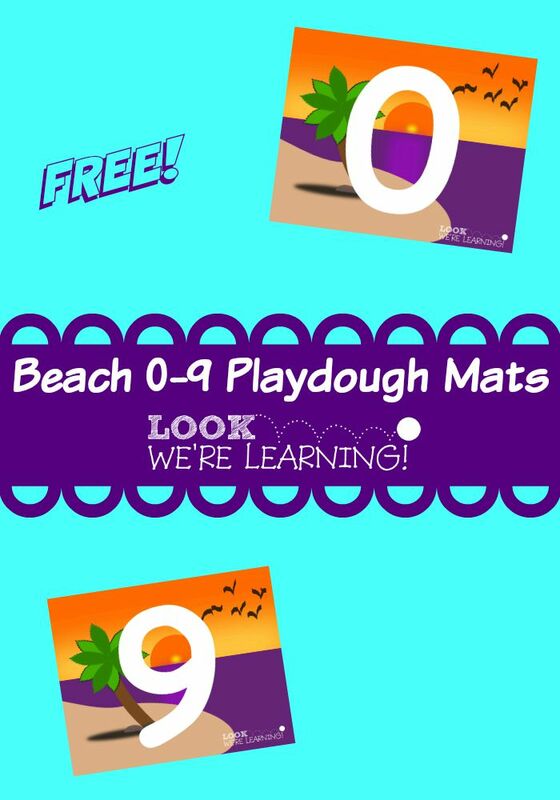 So here are several printable preschool playdough mats that we’ve been using to help her work on fine motor skills, letter and number recognition, and more! 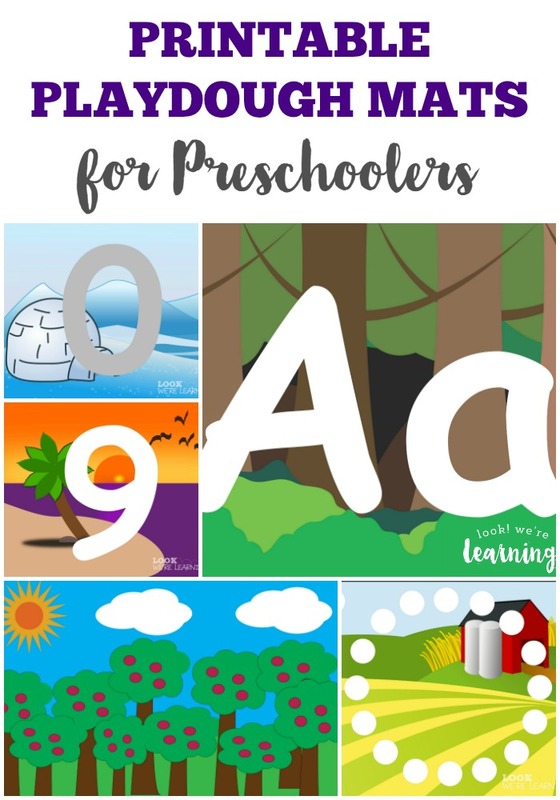 Since each one has a different background, they’re awesome for using with unit studies. 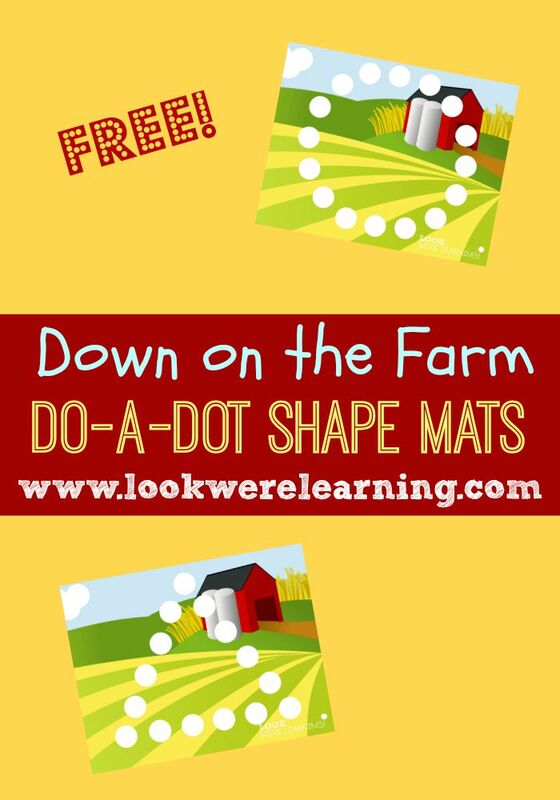 That way, while your older kids are working on projects and reports, your youngest can be working with a playdough mat on the same subject! 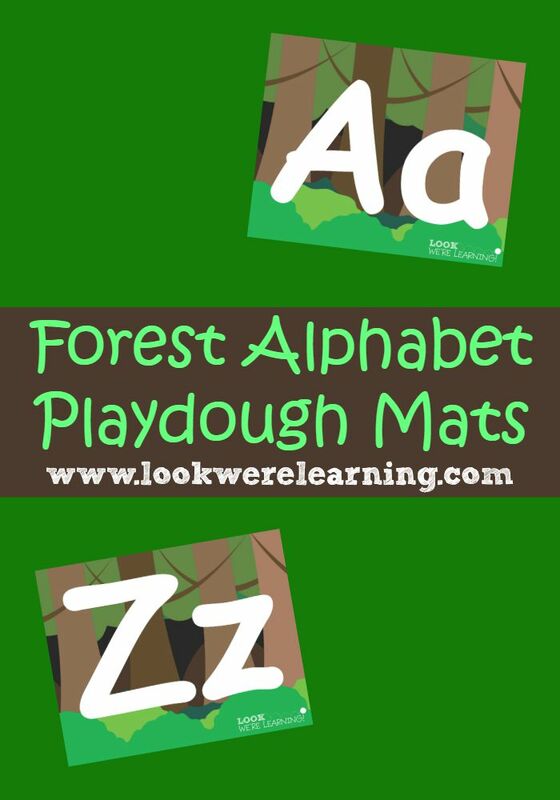 Be sure to come back to see our growing list of printable playdough mats for preschool! Now on to the list of printables!